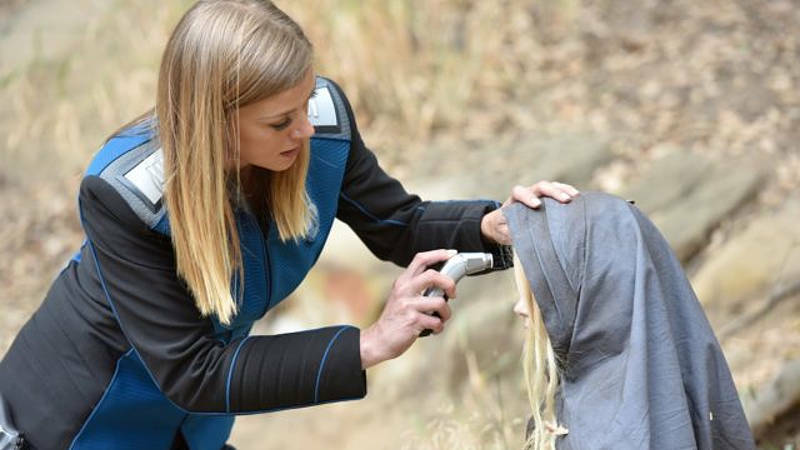 “Mad Idolatry” is one of the best episodes of The Orville this season, and certainly the most ambitious. It also takes me back to the very first episode to explore this series’ primary baggage, which is: This show tries very hard to be Star Trek (except populated by Average Joes), which means it sets itself up for comparisons and expectations that are among some of the best examples of televised sci-fi. In the case of this episode, it uses TNG‘s “Who Watches the Watchers” and Voyager‘s “Blink of an Eye” as starting points to examine its own take on the hazards of cultural contamination. It’s a worthy tale that borrows aspects of classic episodes from those respective series. It thus invites the scrutiny of serious science fiction, even while employing characters that come off as amateurs. Can it survive that scrutiny?